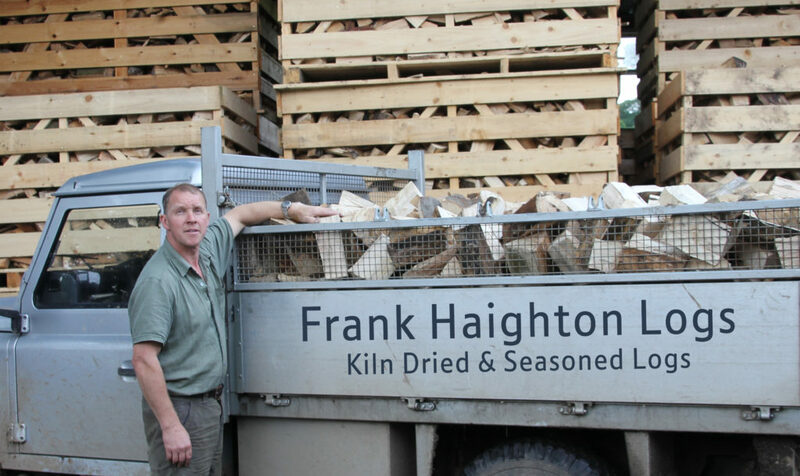 Frank Haighton Logs has been producing and selling logs for over 25 years. All our firewood is locally sourced and comes from Managed Woodlands, cut and processed by our very own Forestry Contractor. Established in 1986 there have been many improvements in the way in which we process and deliver our firewood. An invested box system means we can supply clean and dry wood in a professional and reliable manner. The logs are either kiln dried or seasoned and stored in our barns where the air is able to circulate round the boxes under cover. Once the firewood has been dried they can be cleanly poured onto a truck and swiftly delivery. You can order by phone, email or by filling in the order form on our order page, we can generally deliver within 5 working days of receiving an order. Every customer will be contacted by phone for confirmation and to make arrangements of your delivery of firewood. 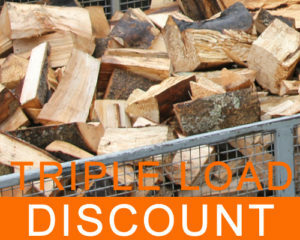 We deliver to Hampshire and Berkshire area and we are able to deal with any size commercial or domestic log firewood order. Free delivery on full loads up to a 18 mile radius, which includes Andover, Newbury, Basingstoke, Winchester and Marlborough and will be made Mon-Sat at a arranged time. Payment on delivery of Cash or Cheque is acceptable and via bank transfer.